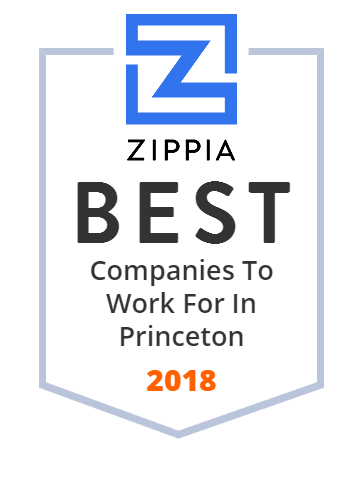 We hand-curated a list of the best companies to work for headquartered in and around Princeton, NJ using data on salaries, company financial health, and employee diversity. Educational Testing Service, founded in 1947, is the world's largest private nonprofit educational testing and assessment organization. RCN has been in the neighborhood for years, providing services to their neighbors and supporting the community. For business customers, RCN Business offers a full suite of communications products and services to businesses of all sizes, including Internet, voice, video and network solutions. Covance Inc. is a global contract research organization recognized for being the world's most comprehensive drug development company. It has a team of professionals that are dedicated to advancing healthcare and delivering fast and innovative medical solutions to patients and healthcare providers. The company also offers laboratory testing services to the chemical, agrochemical, and food industries. It is also a market leader in central laboratory, toxicology, and discovery services. Berlitz Corporation is a global leadership training and language education company with headquarters in Princeton, New Jersey. The company was founded in 1878 by Maximilian Berlitz in Providence, Rhode Island. Berlitz Corporation is a member of the Benesse Group, with more than 547 company-owned and franchised locations in more than 70 countries. Welcome to the Nassau Inn, an outstanding hotel in Princeton, NJ, where guests enjoy a warm and sophisticated hotel in the heart of downtown Palmer Square. WorldWater & Solar Technologies designs and builds solar platforms for agribusiness, water management and other commercial and industrial applications. VideoKen Inc. It works on advanced video indexing technologies, which are built on a foundation of cutting edge research involving Big Data analytics, Machine Learning and Artificial Intelligence.